In this article, we will be discussing deploying Angular applications to cloud with Nginx server. Hence, first we will be building an angular 6 application and then install and set up Nginx on cloud. I already have an ec2 instance on aws. Also, we will briefly discuss about different Nginx directives and then deploy the angular app on Nginx. Though we are using Angular 6 app for example but same process can be used to deploy any angular version that is released after angular version 2. In my previous article, we built an angular 5 CRUD application with CLI command and integrated many things with it such as JWT authentication, material designing and material data table. For all the articles, you can visit - Angular Tutorials here..
You can visit my previous article step by step angular 6 app for building an angular app from scratch as we will be skipping this part here. I will provide a brief idea of that app here. The app was built with Angular CLi command and used routing configurations. We had altogether 4 routes for login, add user, edit user and list user. Following is the project structure. The complete source can be downloaded from github here. Nginx is a lightweight, high-performance web server which can also be used as a reverse proxy, load balancer, mail proxy and HTTP cache. Now, let us install Nginx on aws and configure the same for our angular depoloyment. For a complete guide to install Nginx on aws, you can follow this official guide at Nginx.For this, I have already an ec2 instance running on AWS with Amazon Linux AMI. Ssh in the VM and run below commands. Once, this is done you can access following Adminstrator page at port 80. Make sure to add the security group for port 80. Now let us try to understand what has just happened in the background that we are able to view this page. After the installation of Nginx, all the config files are present inside /etc/nginx. Following is the sample screenshot of the file structure. Once, you open nginx.conf file, you can find following code snippet under server block. It means Nginx is listening at port 80 for any http request and serving the page from a root directory /usr/share/nginx/html and the default index page configured is index.html and hence for the request , the index page available under /usr/share/nginx/html is served. Now, if we want Nginx to serve our custom angular pages, then we require to override these default configurations which we will be doing in next section. In a standard nginx.conf, there exists 5 blocks such as user, worker_processes, error_log, pid, events and http. Inside http block there exists server block and this server block is generally defined in a seperate .conf file inside conf.d directory called as modular configuration files and these are included inside http block. The server block is used for modular configurations. Each website we host on NGINX should have its own configuration file in /etc/nginx/conf.d/ and this configuration file has the server block. server_name allows multiple domains to be served from a single IP address. The server decides which domain to serve based on the request header it receives. 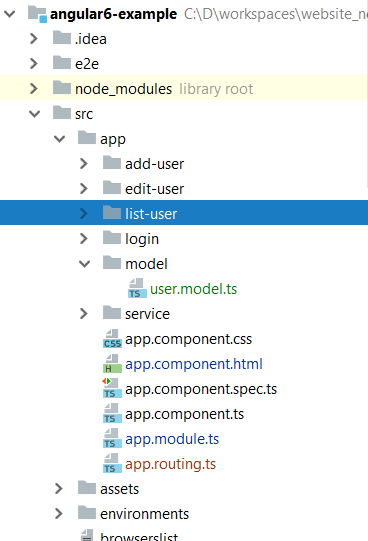 While dealing with the angular app deployment on Nginx, we will be using root configurations to serve our static pages. First, we will genertae our prod binaries using following command. Running below command will genertae the binaries in the dist folder. Once this is done, we can restart our Nginx and see the angular index.html at public ip of our ec2 instance in the browser. In this article, we discussed about building an angular app and setting up Nginx server to deploy it on cloud. At the end, we successfully deployed the app on an ec2 instance of AWS.